The human capacity for self-delusion has long been fodder for dramatists. Usually it’s the stuff of satire or tragedy. “Florence Foster Jenkins,” though, has it both ways. Written by Nicholas Martin (his first feature after a long career in Brit TV), directed by Stephen Frears (“Dangerous Liaisons,” “Philomena,” “The Queen” ) and starring Meryl Streep in a prime slice of Oscar bait, this real-life yarn encourages us to laugh uproariously at the human foibles on display but sends us away in a somber mood. It’s the rare film that discovers dignity in foolishness. The title character was a real person, a New York heiress (1868-1944) who became famous — or infamous — for her out-of-tune renditions of operatic arias. Frears’ film unfolds in the last year of Jenkins’ life. Our guide to Florence’s oddball world is Cosme McMoon (Simon Helberg), a scrawny, struggling pianist who as the film begins is hired as Florence’s accompanist and discovers to his horror that he’s backing one of the century’s worst voices. What’s more, he’s now immersed in Florence’s bizarre household. Streep’s Florence has more money than good sense. A lover of classical music, she has devoted much of her fortune to private recitals at which she is the main attraction. A zaftig dowager (Streep wears a convincing fat suit) with alarming taste in fashion and the stage presence of an eager child, Florence honestly believes that she has a great voice. This delusion is encouraged by the blue-haired biddies who are her devoted fans and by her common-law husband and manager, St. Clair Bayfield (an excellent Hugh Grant). Bayfield is a failed Shakespearean actor — one of those hammy thesps whose delivery is all about the words but rarely about their meaning — who for three decades has been sponging off the Jenkins fortune. A sad lesson of history is that power is rarely shared without a fight. In “Suffragette” the terrific Carey Mulligan plays a London woman who goes from placid wife, mother and laundress to bomb-tossing terrorist. Her goal: voting rights for women. 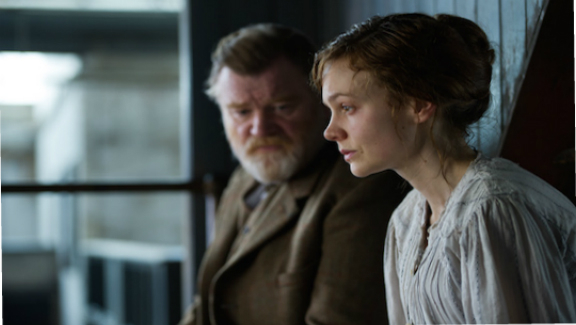 Set almost exactly 100 years ago, “Suffragette” takes place at a time when the suffrage movement had hit a wall. For decades British women had been peaceably seeking equality with their menfolk. They had petitioned their representatives. They’d demonstrated in an orderly fashion. And it had gotten them nowhere. In the character of Maud Watts (Mulligan), Abi Morgan’s screenplay gives us a lens through which we experience much of women’s struggle for equality. As the picture starts Maud is living in more-or-less happy fashion with her husband Sonny (Ben Whishaw) and their son George (Adam Michael Dodd, who has a crying scene to match Jackie Coogan’s in Charlie Chaplin’s “The Kid”). Both adults work at the same laundry, a place of sweat and billowing steam where the owner sexually preys on the younger girls. They are not-quite impoverished but fairly content. Maud is first exposed to the women’s movement when she witnesses a cadre of suffragettes heaving stones through store windows while chanting “Votes for women!” A co-worker (Anne-Marie Duff) begins talking up the movement and its leader, Emmeline Pankhurst (Meryl Streep in what amounts to a cameo role). At the last minute a reluctant Maud is recruited to describe conditions at the laundry before a parliamentary committee. She hopes for the best. The best doesn’t happen. Peaceful rallies are broken up by club-wielding coppers. Mrs. Pankhurst goes underground, emerging publicly just long enough to make a stinging attack upon the authorities before vanishing once again. Maud finds herself quickly becoming radicalized. 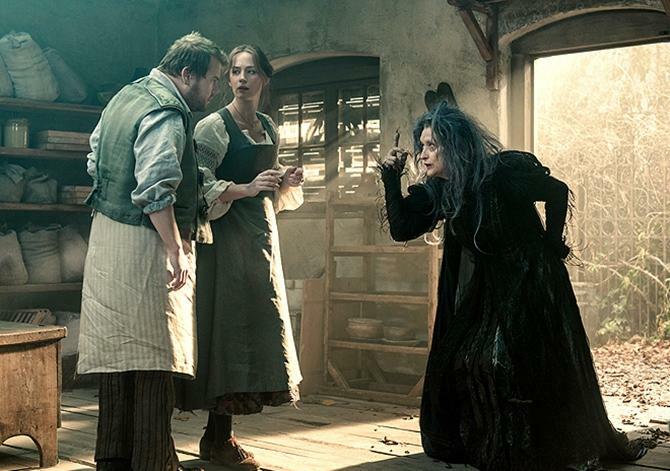 She plots with other women at a pharmacy run by Edith Ellyn (Helena Bonham Carter), whose knowledge of chemistry makes her an ideal bomb maker. Soon Maud is dropping sputtering explosive packages into public mailboxes and cutting telephone lines. By now we should be thoroughly inured to Meryl Streep’s transformational abilities. 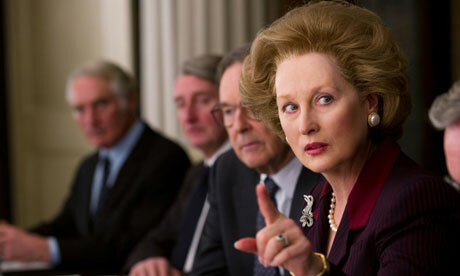 Even so, her performance as Margaret Thatcher in “The Iron Lady” comes as a shock. Yes, she gets immeasurable help from an unsung crew of costumers, hairdressers and makeup artists. 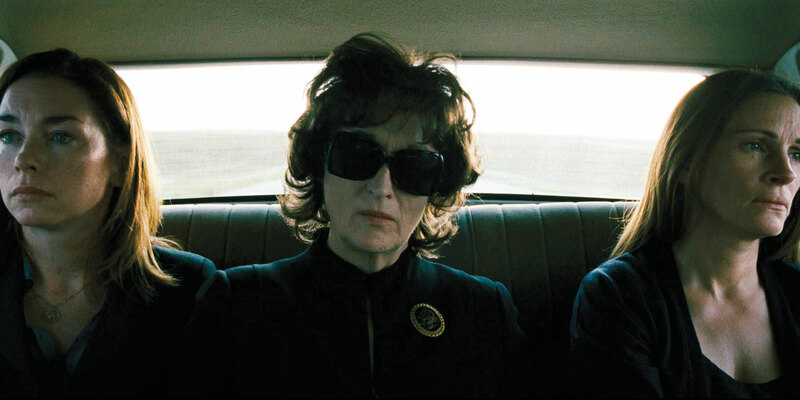 But as with any Streep performance, the magic goes far deeper than the surface. The way in which Streep’s Maggie Thatcher moves, holds herself, speaks — it is little short of eerie. Streep’s believability in the role goes a long way toward ameliorating the movie’s biggest drawback — namely that director Phyllida Law (“Mamma Mia!”) and screenwriter Abi Morgan (“Brick Lane,” “Shame”) are deeply ambivalent about their subject.